How to easily customize your pillow ? Looking for a new way to give your bedroom a personal touch? Well, we have every customized option you may require to add some personality in your bed. Our durable personalised pillows are cosy, great, and cute for dressing up your room and making sure you sleep and wake up to a lovely bed. You can have pillows that depict memories or have images and patterns that bring joy to your heart just by looking at them. We can create a one-of-a-kind pattern, image or monogram to tie together your wall decor and beddings' decorations to enlighten your decor. The pillows can match front and back, have one or two side print, different shape designs, or delightful characters on it. Custom pillows create memories which come to live every night as you sleep and every morning as you wake up. They can be nostalgic depending on the images, patterns and characters printed on it. 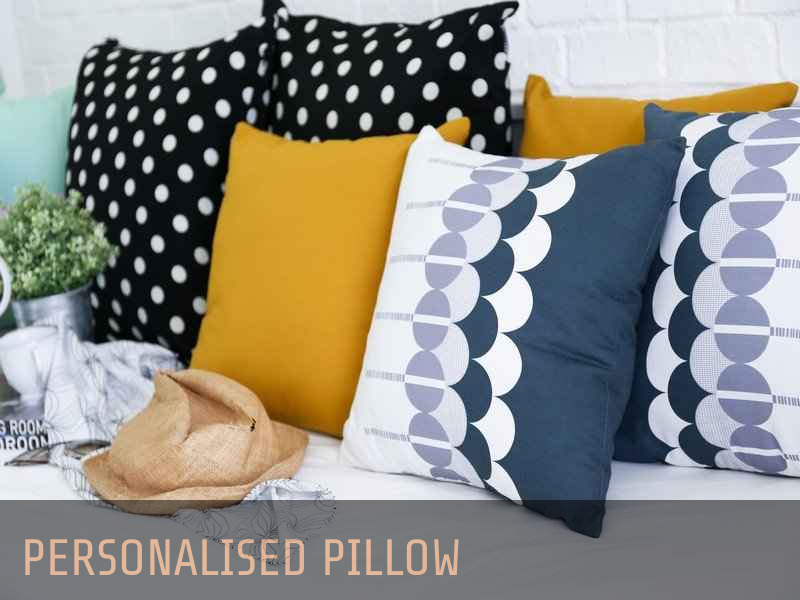 Also, sending someone a personalised pillow with a specific message on it will mean much to the receiver, whether it is your mother, husband, boyfriend, friend, or a sibling. The messages and feelings carried by personalised pillows are impossible to miss and sure to delight, whether they are heartfelt gifts, or weeding keepsakes. We are always committed to ensure that your customized pillow not only depicts beauty from outside, but also lasts longer. You can buy personalized pillow of any size that meets your specifications and preferences. The pillows are available in different fabrics: microfiber, poplin, fleece, and polyester. Perfect custom pillows should not have zippers but it’s up to the buyer to decide. They are easy to clean and spot free. The printed photos, texts or characters do not fade in colour or wash out. Get yourself a gorgeous photo pillow that is customized by creative and brilliant mind of our designers to spice up your bedroom or touch someone’s heart with a message..